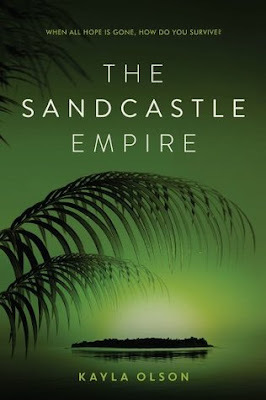 Without further ado, here is a fantastic interview with the lovely KAYLA OLSON, author of the forthcoming novel THE SANDCASTLE EMPIRE! Kayla Olson: As far as my day-to-day routine goes, I am definitely a morning person. When my little guy was younger, I would write from 6–8AM and during naps/evenings/on Saturdays. Now that he’s in kindergarten, I’ve mostly shifted that 6–8AM block to overlap with the half day he spends at school. My big-picture routine is very methodical—I work best when focusing on one project at a time. I’ll throw all my energy into drafting for a season, then switch gears to another project while the first is with readers, and just work my way down my list of frontburner to-do list items. In my bullet journal, I plan about twenty weeks’ worth of goals at a time, then try my best to work through that big-picture plan on a day-to-day basis. Kayla Olson: I learned so much about the world through books when I was younger. 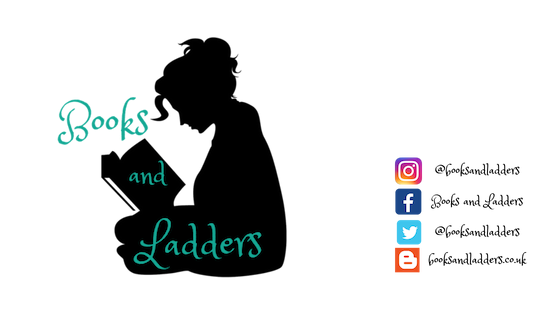 More than that, books were always a bit of a safety net for me during the lonelier times, particularly the year we moved—that adjustment was not a smooth one, and books brought a sort of stability in a time where I felt my world had been turned upside down. I believe books have the power to build up a reader’s empathy, bravery, and sense of connection—I write for younger audiences because that’s the age I was when I needed those things the most, but honestly, I don’t think people ever outgrow the need to be built up in those ways. Describe THE SANDCASTLE EMPIRE in 10 words or less. Kayla Olson: When all hope is gone, how do you survive? Kayla Olson: The very first seeds of the idea were the island and the four main girls who stumble upon it. I loved the idea of surprising these girls, of having them run to this island because they believe it will be a safe refuge—but instead, it ends up being even more dangerous than the world they left behind. From there, everything fell into place: the girls had to be running from something, and that something was a war; the war sprung out of environmental change—out of disasters that multiplied on themselves and seriously exacerbated pre-existing social issues—and spiraled into a heated fight for survival. What makes Eden a great main character? Why was it so important to see the world from her perspective? Kayla Olson: Eden has lost everything to the war—her family, her boyfriend, her home—her ability to trust—and, very nearly, her ability to hope. In a world where everything has been taken from her, she decides to do whatever she can to take back her freedom. Despite all Eden has lost, she has loads of inner strength (though she’d probably have a tough time admitting that about herself, because she’s in a place where she feels broken)—she’s quiet, patient, always observing her surroundings and looking for the best possible course of action. She’s willing to do hard work even when she’s afraid of it, and she’s determined and persistent in her fight for freedom. I think it’s important to see the world from Eden’s perspective because she has lost everything, but doesn’t let her loss crush her—she can’t bring the people she loves back to life, but she does her very best to breathe new life into the dying parts of herself. What did you take from our world to incorporate into the futuristic world that you created? Kayla Olson: My goal with Eden’s world was that it be eerily similar to ours—what ours could become if we don’t take seriously the issues raised in the book. The idea of ‘nuisance flooding’ particularly stuck out to me, how rising seawater could affect low-lying coastal regions in problematic ways years before many of us expect it to; how it could contaminate drinking water, cause fights for resources skewed in favor of those who can afford them, and generally have disastrous effects all along the coast if we are ill-equipped to handle multiple emergencies at once. Aside from these, I was inspired by some real-world science I first learned about through a couple of fascinating TED talks—silk technology, for one, along with the idea of using protocells to repair architecture. (Fiorenzo Omenetto for silk tech // Rachel Armstrong for architecture that repairs itself) I loved the idea of incorporating future tech that’s so earthy and sustainable, and hope the book will raise awareness of solutions like these that already exist in our world. What makes the Wolfpack so deadly as leaders? They wanted a safe world. A forever world. One that wouldn’t get swept away, one where they wouldn’t have to fear their children going hungry, their children soaked up to their necks in contaminated salt water but never able to drink it. These desires—to live, to protect their children—are good and noble at their core. The Wolfpack preys on people’s fear, though, and then they twist it. Wolves wanted life—but not at the expense of their own lives, Eden observes. This makes them deadly: survival comes at a cost, and someone is going to lose, and the Wolves are dead set on coming out on top. Kayla Olson lives in Texas, and can usually be found in near proximity to black coffee, the darkest chocolate, and an army of Sharpie highlighters.